#15018, This elegant table in northern elm dates from the late 1800s. The finely decorated ends reflect its origins in Shanxi province. It is 144 cm wide, 38 cm deep and 110 cm high. 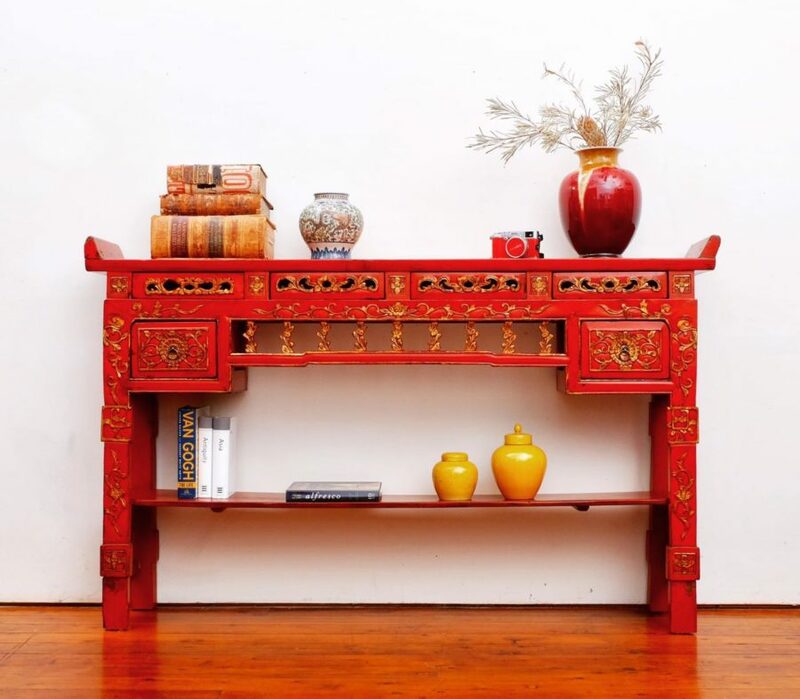 #111023 This carved red lacquer table features six small drawers and a removable shelf that would be useful in a hallway or entrance. 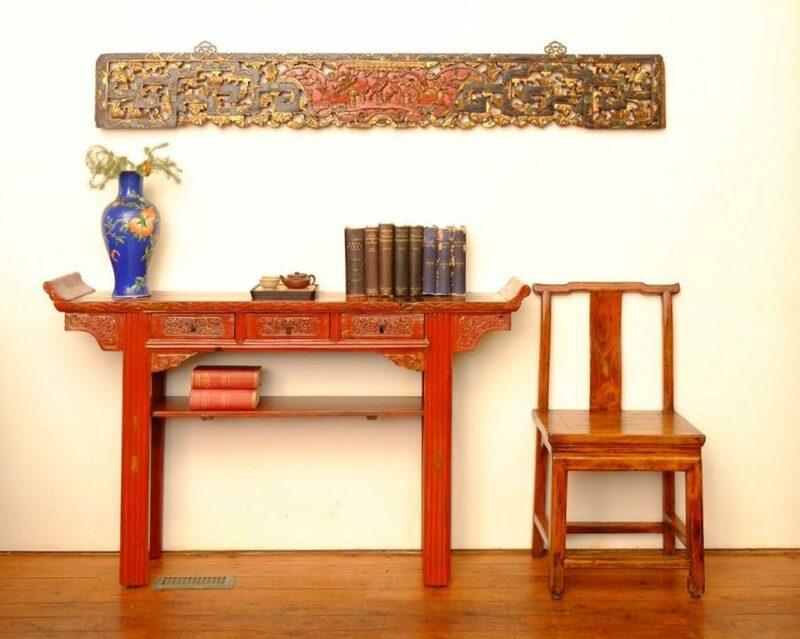 Made of cedar, it dates from the late 1800s and originated in Fujian province. Measurements are 165 cm wide; 28 cm deep and 103 cm high. #111036 is dark red and has 3 small drawers that would be ideal for keys and those other small items you need to grab as you dash out the front door. 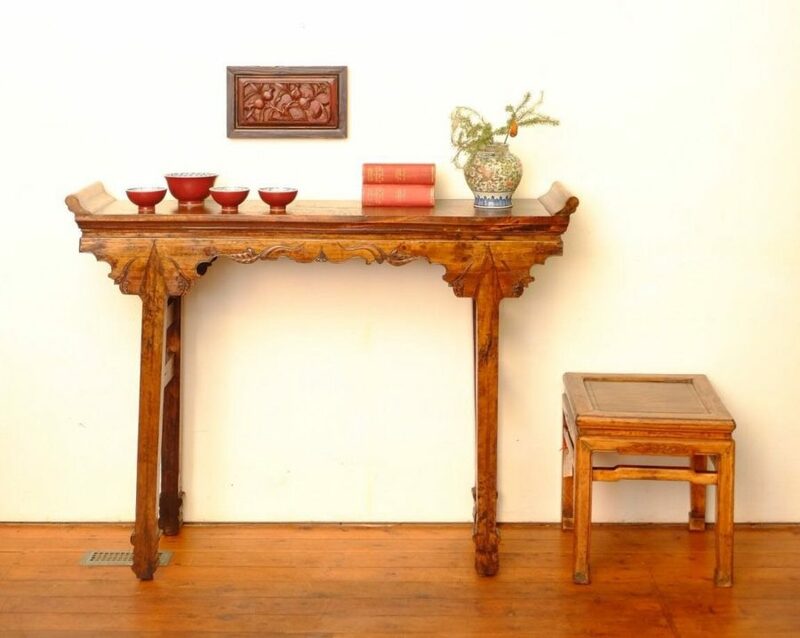 It is made in cedar, dates from the late 1800s and comes from Fujian Province. Measurements are 156 cm wide; 33 cm deep and 99 cm high.